1. What Is Bio-Sensing Technology? 2. What are the everyday applications of the technology? 3. When was the Institute of Bio-Sensing Technology established? 4. What is the role of IBST? 5. What are the benefits of collaborative working? 6. How can IBST work with academic staff? 7. What technologies are currently being developed? 8. What is the biggest achievement accomplished by the Institute so far? In the widest sense, bio-sensing-can be defined as any technology that underpins systems that use a biological element combined with an electronic component to form a measurement device or uses an electronic device to detect all measure a biological entity. For example, a biosensor is a device that combines a biological component, such as an enzyme, with a physicochemical sensor element; but the use of image/video technology used to detect a person in a room is also bio-sensing technology. A common example of a commercial biosensor is the blood glucose biosensor, which uses the enzyme glucose oxidase, immobilised and electrochemical sensor, to break blood glucose down. A current is generated which is measured using the integrated electronics and the concentration of glucose displayed for the user. In 2006 a business plan was developed to actively develop new collaborations between research groups in different faculties, universities and companies to bid for new research funding to develop bio-sensing technology in a range of application areas. In March 2008 the official launch of the Institute took place in Bristol. Through this kind of collaborative working the Institute is well placed to take an idea from conception, through fundamental research and development to preproduction prototype, in preparation for exploitation. New research funding opportunities through multi-disciplinary and multi-centred bidding. New opportunities for cross-sector networking and knowledge exchange. Exposure of UK companies to worldwide networks and markets and vice versa. Increased number of graduates prepared for employment in the biotechnology sector. 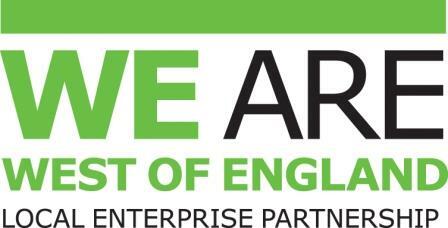 Knowledge exchange events to broaden and develop the knowledge base of industry. Identify the possible research opportunities. Consult/ manage the application process for biding. Establish necessary links for a range of interest groups in academia and industry. Organise an event for educational/research/networking purposes. 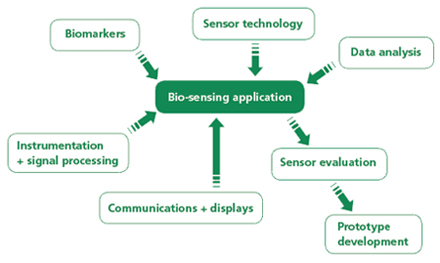 The Institute of Bio-Sensing Technology represents the loose connection between the expertise areas. The Institute’s work has created an environment where the University of the West of England is now recognised as an international centre of excellence in bio-sensing field. The 4th International Bio-Sensing Technology Conference which took place in Lisbon, Portugal in May 2015 was an outstanding success. Prof Ian Craddock, University of Bristol, UK presented the 2015 Bio-Sensing Technology Lecture to an audience of world-leading academics and companies. Planning for the 5th International Conference is underway and will take place at the Riva del Garda (on Lake Garda), Italy in 2017. The other great successes for IBST is the leadership of the Innovation Networks (iNets) Microelectronics iNet and the Biomedical iNet which were launched in 2010 and the new Business Technology Centre CATIM (Centre for Alternative Testing and In-vito monitoring) which was launched in March 2013. CATIM is cross faculty initiative led by Professors Richard Luxton and Janice Kiely which specialise in the creation of new technologies that will detect and monitor changes in cell systems, critical for the development and evaluation of many new products, from chemicals to medical implants.